Subscribe to our Email Alerts and stay informed. The police department responded to a 911 call this morning at 5:06 am involving a subject with multiple stab wounds. The victim was located on property adjacent to Highway 201 North near its intersection with North Street. Also responding to the stabbing incident were Baxter Regional Medical Center ambulance, the Baxter County Sheriff’s office, and the Mountain Home Fire Department rescue unit. The victim was transported to the hospital. Arkansas State Police investigators responded to the scene to work with local agencies on the investigation. At 6:54 am, two subjects were detained near the intersection of Cardinal Dr. and Spring St. Both subjects were transported to the police department. Both subjects are being interviewed and one subject is a suspect in the stabbing incident. A vehicle matching the suspect’s vehicle was seized. Additional information may be released later this afternoon. 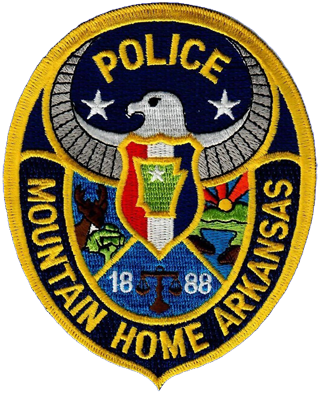 A suspect, ERIC GUYNES, W/M, 46 of Mountain Home, was charged with criminal attempt to commit murder, battery 1st degree, assault 1st degree, arson, and criminal mischief 1st degree based on probable cause pending the formal filing of charges. Bond is set at $500,000 but he is being held for a parole violation and incarcerated in the Baxter County Detention Center. In additional to the victim’s injuries, a fire was set at the crime scene. A second person detained this morning with the suspect was interviewed and released without charges. A search warrant was served and the seized vehicle, a Chrysler Van, was searched shortly after 10:00 am. Items of evidence were recovered and will be sent to the Arkansas Crime Lab for analysis. The victim is currently receiving medical treatment at Baxter Regional Medical Center. His name is being withheld at this time and may be released in an update on 3/22/2018. The victim’s name is Michael D. Newberry, 46 of Mountain Home. The victim was in his parked vehicle on the business parking lot of Thrift and More, located near the intersection of Hwy 201 N and North Street when he was stabbed. On responding officer’s arrival, the fire was in the victim’s vehicle. The victim is still under the medical care of Baxter County Regional Hospital and the police department will not make a release on his condition. Any request for the victim’s status may be made to the hospital.